Elia Viviani (Quick-Step Floors) has taken the victory at the last stage of the Vuelta a España. The rider took his third stage victory of the race while Simon Yates became the overall winner. The last stage of the Spanish grand tour was 100.9 kilometres long over a completely flat route from Alcorcon to Madrid. The day started with the familiar scenes of the team of the race leader celebrating, the protocol pictures with the podium riders and the poses for more photos. Dimension Data's Igor Anton was given the chance to enter the Paseo de la Castellana in the first position and doing one of the laps on his own in honour of his last day of racing. After the peloton caught the Spanish rider, several attacks started happening and Alessandro de Marchi, Tiago Machado, Jetse Bol, Loic Bhetout, Stephane Rossetto and Mikel Iturria managed to create a gap with the others. With 44 kilometres remaining, the pack caught the escapees and almost right away a new breakaway group was formed by Diego Rubio, Joey Rosskopf, Garikoitz Bravo and Nikita Stalnov. With 27 kilometres to go, Stalnov suffered a puncture and was caught by the bunch, leaving the other three riding in front. At around six kilometres to go, the escapees were reeled back in and the peloton organised itself for the final sprint. The last kilometre was very chaotic and Quick-Step Floors was trying to set the pace for Elia Viviani but he was far behind. Ivan Garcia Cortina (Bahrain-Merida) launched the sprint first and was followed by LottoNL-Jumbo's Danny van Poppel. Peter Sagan (Bora-hansgrohe) and Viviani accelerated from the sides and the Italian once again showed his good shape by crossing the finish line in the first position. Sagan was second and Trek-Segafredo's Giacomo Nizzolo crossed the line in third position. 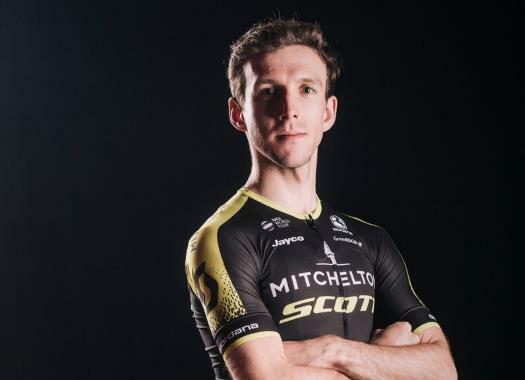 Simon Yates arrived to the finish with the peloton and became the final winner of the Spanish grand tour.